In December 2012 I had total hip replacement on my right hip. It didn’t work out very well. In June 2013, after six months of excruciating pain, I had a “revision,” i.e. 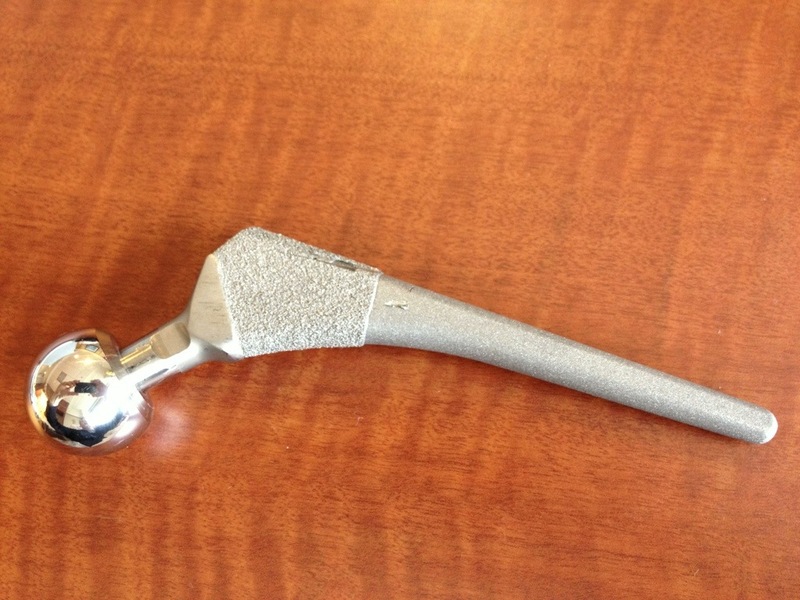 they removed the original prosthesis and performed another total hip replacement. Different doctor, different hospital, different result. Now, three months out, I have been cleared to “use my best judgment” to determine when I can walk without a cane. So far, one day in, I am carrying the cane with me, but walking without it. I still have a limp, which I will need physical therapy to help correct, but, for the first time in more than nine months, I AM WALKING UNASSISTED! It is a liberating experience. I have learned a lot in the past nine months. Perhaps the most important lesson was how truly kind people can be. In my early stages of recovery, when I was using a walker, and also later, when walking with a cane, I cannot count the number of times people would stop and hold doors for me. It may seem like a small thing, but when you are limited by using these devices, it is a very big thing indeed, and I was truly grateful. This brings me to the second thing I learned, which is that you really don’t appreciate how much you use your hands, especially both hands, while walking, until you can’t use them. When using a walker, you need to have both of your hands on the walker when in motion. That makes it very difficult to carry anything. It also makes it difficult to close a door behind you when you leave the house, and to do a multiple number of things we all do every day without thinking about them. When on a walker, you do have to think about them and how to do them. On the cane, you have one hand free, so it is somewhat easier, but you frequently still have to think about how to do all those things you did, without thinking, in the past. I cannot express how truly wonderful it felt this morning when I could walk while carrying something in each hand! The third thing I learned was a sensitivity for people who require devices to assist them in walking, or those who cannot walk at all, or those who have any sort of disability. First, as I said above, there are all these little things that you never think about when you have two hands free and can walk unassisted, that you now have to think about, and that you may not be able to do. Then there are those other things you just cannot do because of your limitation. While I was on the walker, we wanted to see a movie at a funky old movie theatre in Washington, DC. The movie was in the auditorium on the second floor, the theatre does not have an elevator, and, at that point, I could not climb stairs with my walker. So, we went to see a different movie, and we recently saw the missed movie at home on DVD. For me, this whole incident was a minor annoyance, and, I knew, just a temporary state of affairs, but it made me realize that, for many people, this is what they need to contend with every days of their lives. I now have a new respect for the Americans with Disabilities Act (ADA), especially Title III-Public accommodations. Because of the ramps and elevators where I work, I was able to return to the office much earlier than if I had to rely on the stairs alone to reach my office, and I cannot tell you how many times I was happy to find buildings with automatic doors. When you only have one, or no, hands free, dealing with doors, especially heavy ones, and those with automatic closures, can be challenging. So, the next time I see someone walking with an assistive device, in a wheelchair, or with some other disability, I will make sure that I stop, hold the door or lend whatever assistance seems appropriate under the circumstances. I hope that you will as well.